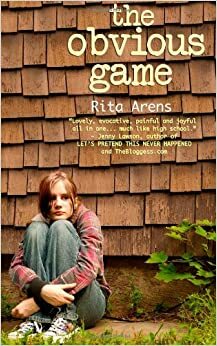 Welcome back to the Fiction Reboot, today we are happy to host Rita Arens, author of The Obvious Game, editor of Sleep is for the Weak, and a recent feature of the Friday Fiction Feature. Today she regales us with the trials & tribulations of investing a serious draft with humor & levity. The Obvious Game is a journey into anorexia. Diana starts out normal enough, but soon the spiraling reality of her mother’s health and her growing relationship with a high school wrestler cutting weight find her helpless against the new rules taking shape in her mind. Read on to finally understand the psychology of anorexia … and how Diana found her way back. An important read on a complex and confusing mental illness. This month I attended the Missouri Society of Children’s Book Writers and Illustrators conference (SCBWI). I always enjoy writing conferences: They’re filled with a bunch of people who know exactly how difficult intellectually and emotionally it is to write books and then attempt to get other people to read them and maybe even buy them. One of my favorite breakout sessions at this conference was led by author and professor Cecily White. 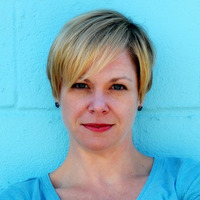 During Cecily’s session, we discussed the danger in writing teenagers who are too sullen, because even the most sullen teen doesn’t see herself as sullen. Nobody sees herself as sullen. Not even those of us who are currently punching pillows and hate-watching Real Housewives. I had this writing-a-sullen-teenager problem in the earlier stages of my young adult novel, THE OBVIOUS GAME (InkSpell Publishing, 2013). My main character, Diana, develops anorexia. I had anorexia when I was a young adult. So I wrote Diana the way I remembered being. And I am not very nice to myself, especially when I remember that time in my life. Thought not autobiographical from a plot perspective, this novel is very autobiographical emotionally (I even set it in the 1990s to frame precisely what that time felt like). I wanted to get at it, exactly at it, and portray the mindset of anorexia authentically. Writers, saddle up, because the publishing world can be direct. Yes, THE OBVIOUS GAME is a heavy book. But after thinking and thinking and thinking about how to inject levity into the novel followed by revising and revising and revising, THE OBVIOUS GAME did actually achieve my goal of being traditionally published. (My first book, a nonfiction anthology called SLEEP IS FOR THE WEAK, was traditionally published, as well, but I have self-published several poetry collections and short stories, so I have different goals for different projects.) And! A reviewer addressed the humor directly: “This is a pretty unflinching look at ED and the way it impacts people. Arens really digs into the mindset of ED, the obsession, the logic and illogical. It’s beautifully written, but sometimes hard to read because it’s so meaty. Despite the meatiness, however, there’s a lot of humor in the book, and a lot of hope.” When I read that review, I danced around the room, because dammit see: “There’s a lot of humor in the book.” That humor was hard-fought. The tool I used to inject the humor was The Obvious Game itself. As I drove to my 20-year high school class reunion with my best friend, I asked her what we thought was funny when we were fifteen. I had wrapped myself so deeply in the hard parts of my novel that I’d forgotten what made me laugh. She reminded me that we used to play The Obvious Game, and I snorted just thinking about it. No matter how bad your mood, you can play The Obvious Game. It requires zero skill. When I got back from that trip, I inserted The Obvious Game and all its ramifications into my novel and resumed pitching it. There are two important lessons I took away from the experience of writing and rewriting Diana, my protagonist in THE OBVIOUS GAME. 1) Don’t let yourself become so obsessed with being realistic that you write an unsympathetic protagonist. Everyone has some redeeming qualities. Let the supporting characters be really evil if you will, but let your readers like your main character. 2) Draw on life experiences unique to you as you revise. Don’t be so focused on finishing that you write something generic. Write the book, as they say, that only you can write. What’s The Obvious Game, you ask? You’ll just have to read the book! Here’s the playlist that goes with it, just to get you in the appropriate mood. Each song is off the album named in the corresponding chapter title. SEE WHAT I DID THERE? Nerd out with me, nineties-music lovers. Chapter 17: Achtung Baby by U2 (1991) — Who’s Gonna Ride Your Wild Horses?